Obituary for Gladys M. (Gill) Swogger | Robert L. Snyder Funeral Home and Crematory Inc.
She was born in Greenville on October 9, 1938 a daughter of the late Arthur F. and Elizabeth (Davis) Gill. On July 31, 1958 she married Robert Q. Swogger who preceded her in death on May 23, 2009. 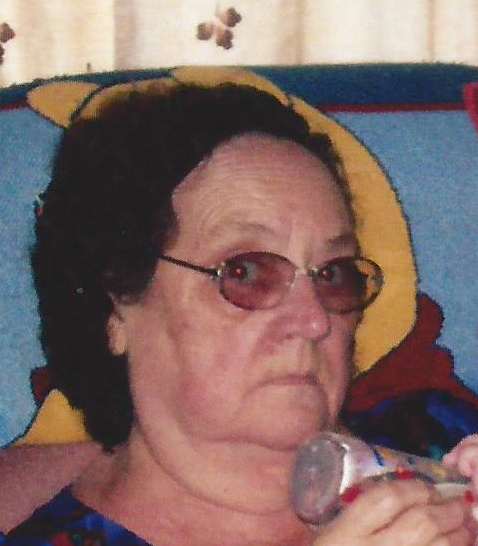 She was a homemaker and enjoyed crocheting and knitting and always was able to find time to play Bingo. Gladys had attended the Faith Community Church, Enterprise. She is survived by a son Robert Swogger and his girlfriend Julie of Meadville; A daughter, Alberta Drake and her husband Randy of Pleasantville; an adoptive son, Shawn Swogger and his wife Marie of Cochranton; 3 brothers, Robert (Kathy) Gill, Cochranton, Tom (Cathy) Gill, North Carolina and Paul (Marsha) Gill, Greenville; three sisters, Sheila (Pete) Brocklehurst, Greenville, Nancy Barnes, Atlantic, and Elizabeth Kirkpatrick, Greenville; a sister in law, Barbara Gill, Greenville; 6 grandchildren, William Locke, Shawn Swogger, Marcy Swogger, Tonja Campbell, LaCole Hall and Ben Martin and 12 great grandchildren. She was preceded in death by her parents, her husband; a grandson, Ben Swogger; a sister, Susan Nashtock and two brothers, Wesley Gill and Arthur Gill.